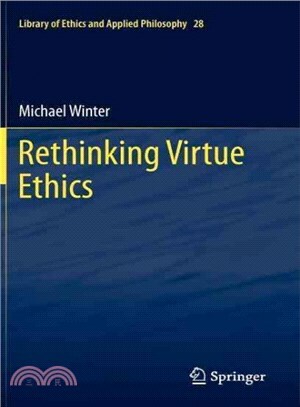 Rethinking Virtue Ethics offers a model of Aristotelian virtue ethics based on a deductive paradigm. This book argues that, contrary to what many contemporary thinkers are inclined to believe, Aristotelian virtue ethics is consistent with at least some action-guiding moral principles being true unconditionally, and that a justification for general moral principles can be grounded in fundamental concepts within Aristotle’s theory. An analysis of ethical propositions that hold for the most part is proposed that fits well within the deductive paradigm developed. This unique interpretation of virtue ethics has implications for recent discussions of the virtues in social psychology, issues about how fundamental moral principles are known, questions about the justification of inalienable rights, debates about moral particularism and generalism, and discussions of moral realism and anti-realism.